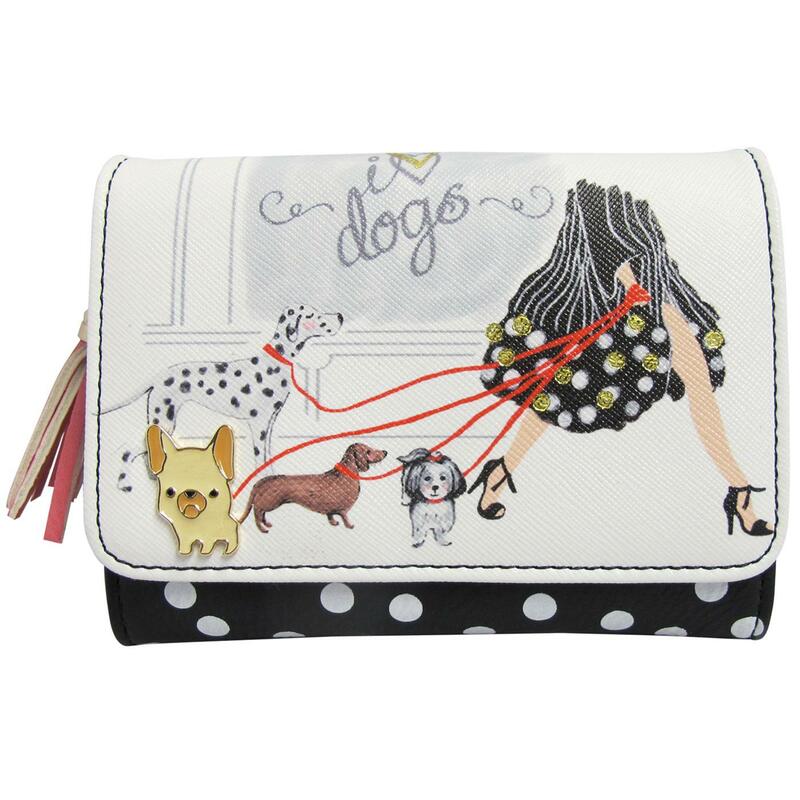 New from Disaster Designs Keepsake range is this super cute 'I love dogs' purse for all the dog lovers out there! This vintage vibe purse features a faux leather crosshatch textured front with an image of four cute dogs being taken for a walk by their chic owner, who's wearing a vintage dress and heels, with the words 'I love dogs' above them. Both the heart and the spots on the woman's dress are accented in gold and there's even a metal emblem of a dog that makes this design really pop! 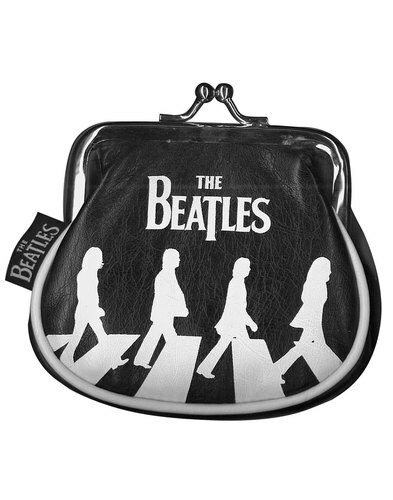 Inside the purse is a retro black and white polka dot design that continues onto the back, which is embossed with the Keepsake logo. The 'I love dogs' purse has 3 separate compartments inside with space for 6 cards and a coin pouch, lined in black and white striped fabric, that closes with a zip with a pink tassel on the end. The inner is also in a cute shade of pink. 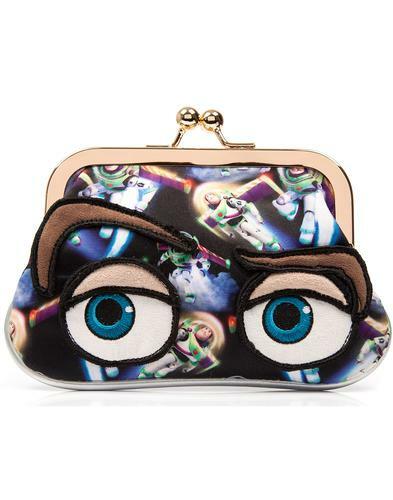 You'd have to be barking mad to not pick this purse up! I Love Dogs Keepsake in off white by Disaster Designs. Front flap is crosshatched with an image of dogs being taken for a walk by their chic female owner with the phrase 'I love dogs' above. Gold accents on the heart and dress. Metal dog emblem on the front. Black and white polka dot inner design that continues onto the back. Embossed heart Keepsake logo on back. 3 compartments with 6 card slots. Coin pouch in black and white stripe fabric with pink tassel zip. Black and white striped fabric throughout.